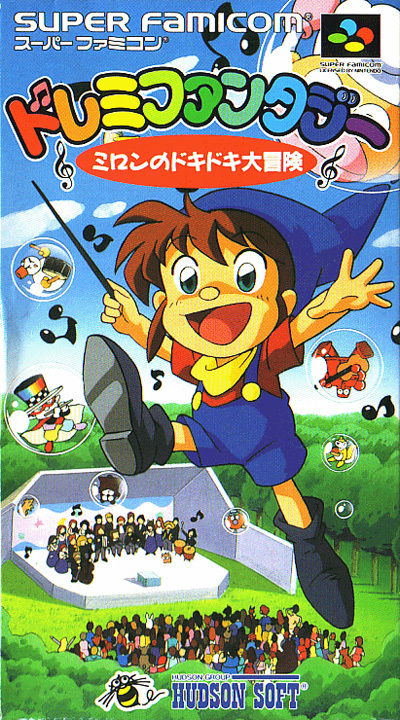 "DoReMi Fantasy: Milon's DokiDoki Adventure" was released only in Japan for the Super Famicom and was made available to other regions more recently via the Wii Virtual Console. Milon heads up a mission to restore the music from the forest of his hometown and rescue his friend, the fairy Alis, from an evil wizard known as Amon who is also responsible for the disappearance of music. DoReMi Fantasy is somewhat different from the original Milon's Secret Castle. This game is more of a straight platformer, while its predecessor combined platforming with puzzles and exploration.